ANKARA (Reuters) – Electoral officials ordered a second recount of votes in an east Istanbul district on Monday, after two weeks of appeals by President Tayyip Erdogan’s AK Party against results showing it had narrowly lost control of Turkey’s largest city. Repeated AKP challenges to the initial results have led to growing frustration among supporters of the main opposition CHP, which spilled over onto the soccer terraces at the weekend when Istanbul’s top teams played two derby matches. “Give the mandate, give Imamoglu the mandate now,” fans of Besiktas and Fenerbahce chanted, as their teams played current league leaders Basaksehir, whom Erdogan has said he supports, and runners-up Galatasaray. The secularist Republican People’s Party (CHP) mayoral candidate Ekrem Imamoglu, who attended both matches, holds a slim lead of around 0.2 percentage points over his AK Party rival, former prime minister Binali Yildirim, according to initial results of the March 31 local elections. The High Election Board (YSK) has said it would wait for all recounts across the city to be completed before ruling on the AKP’s appeal to annul results in Buyukcekmece. 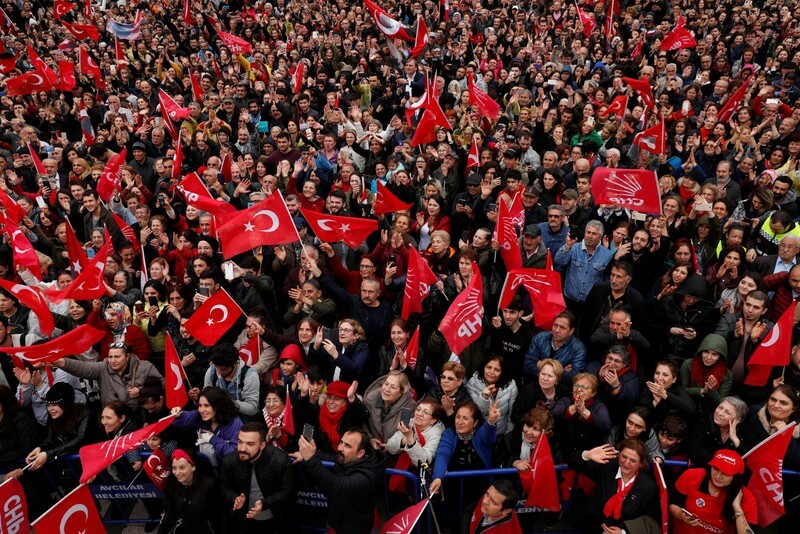 After that it may have to rule on a call by Erdogan – not yet formally submitted by the AKP – for the entire Istanbul election to be annulled over what the party said were irregularities that affected the outcome. “The AKP-MHP was planning to get different results by having the ballot boxes in Maltepe recounted. When the results did not come out as they wished, they are now not signing the record sheets of the judges (officials) so the count can’t be finished,” Yarkdas said on Twitter. He said the AKP and MHP were driving the process into an impasse, and putting public servants under pressure. “The party state is crushing the law,” he said. “Carrying the mandate to the stadium is a seed planted to turn the competition between the sides into animosity. He can’t be mayor,” he said.